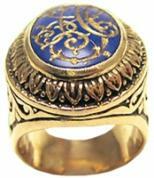 We guarantee your total satisfaction with the quality of our jewellery. All our diamonds, precious and semi-precious stones have been carefully selected by our gemmologists. All diamonds over 0.50 carats are sold with a diamond-grading certificate. 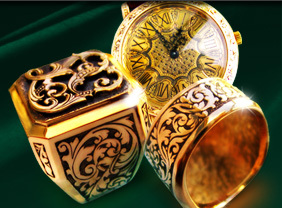 We GUARANTEE that every item that you purchase is authentic, 14K or 18K Solid Gold. We do not compromise in this or any other area! You can be sure of what you are purchasing. All of our items are new and have never been worn. We inspect each item for defects before shipping to ensure you are getting a solid product free of damage or manufacturer’s defects. To check on an order, give an order update or to confirm or discuss order details. We may either contact you by phone for this reason only or sometimes by e-mail. Occasionally, we will send an e-mail to our repeat customers offering them updates on products, or to offer specials or discounts on our items. You can opt-out from this service at any time simply by notifying us anytime before or after your order. You can sign up for this service. We will, as stated above, under no circumstances, however, sell your e-mail to any other company. We believe this world would be a better place if every other company did the same. E-mail In Boxes would be free of Spam and marketing calls at your home would not interrupt dinners. If you have any further questions regarding our privacy, please contact us. 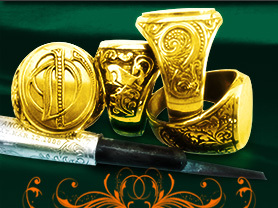 The engraving is guaranteed for a lifetime. If the pattern on your ring has worn down over the years after normal wear, you may send it to our studio for re-engraving, excluding shipping.